Education that warns of the dangers of inadequate hygiene. Trained latrine builders who do their own promotion. 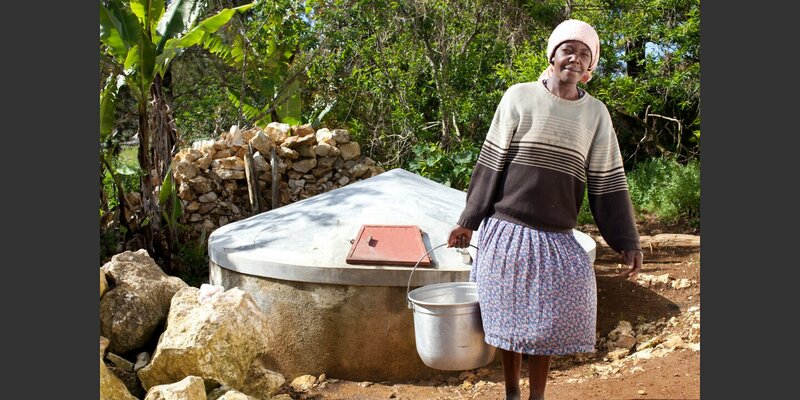 Helvetas wants to get people to put money into building a latrine. This project is financed by donations. 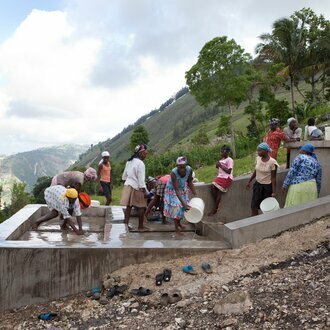 Only 58 percent of the Haitian population have access to clean drinking water, and only 28 percent to a latrine, far less than in all surrounding countries. It is therefore not surprising that cholera has not been eradicated since the 2010 epidemic, the year of the great earthquake. The poor figures do not only reflect the authorities' lack of interest in the water sector. They are also the result of so-called assistant socialism, the thoughtless delivery of relief goods and the passivity that this has created in the population, in the hope that at some point an aid organisation will emerge and finance the urgently needed installations. For this reason, the government banned the subsidization of latrines in 2012. Helvetas has reacted to this ban in the MECAH project (an abbreviation for "market for latrines, communication for hygiene"). The initiative is based on local bricklayers who, in addition to their other skills, also learn how to make simple, inexpensive and efficient latrines. 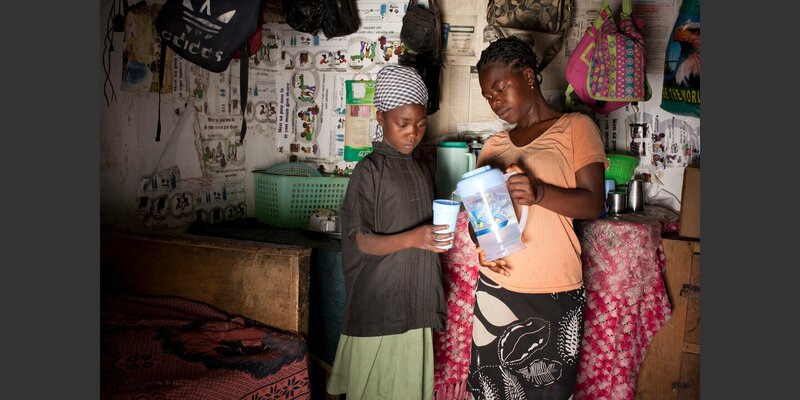 They have a direct material interest in selling as many latrines as possible. 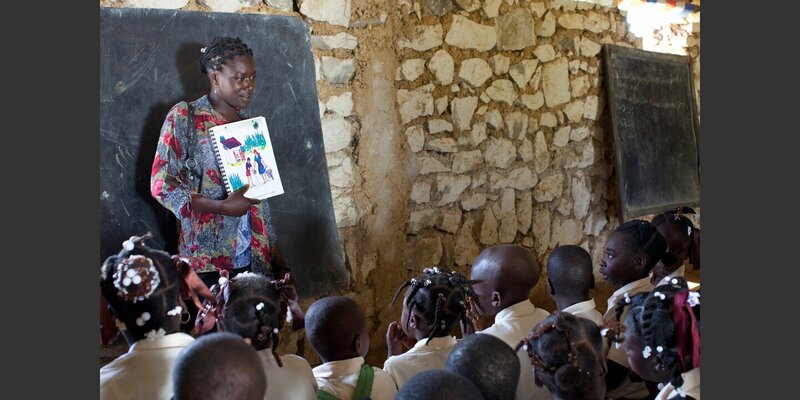 In order to show their potential customers why a latrine is needed, they receive hygiene and health training. A certificate adds extra weight to their designs. At the same time, families are made aware of hygiene issues through various channels. On the one hand, Helvetas trains health promoters, two thirds of whom are young women. They pass by the families and draw their attention, among other things, to the dangers of doing business outdoors. Helvetas also initiates hygiene programmes on local radio and campaigns on social networks, which also strengthen the demand for latrines. The project is an attempt to promote the construction of latrines not with subsidies, but with sales-oriented craftsmen. Helvetas involves representatives of local and national authorities in order to anchor the mechanisms in state structures. 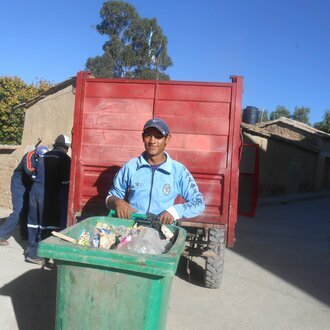 For example, Helvetas is working on a nationally recognised training course for latrine builders. 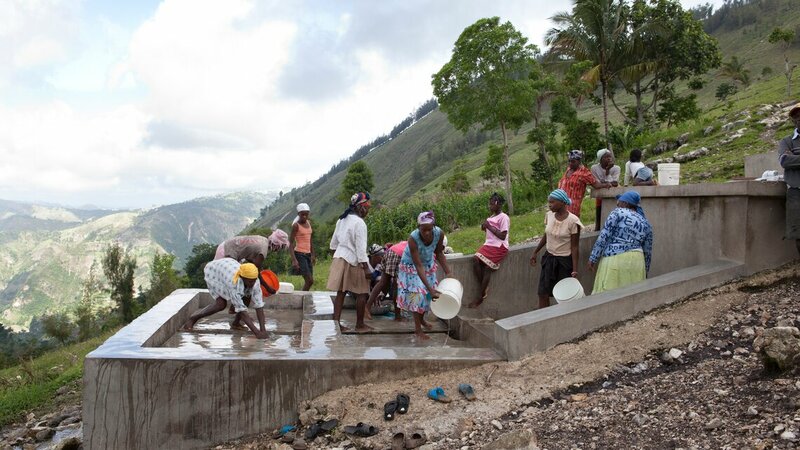 Numerous NGOs active in Haiti are interested in Helvetas' experience with the new approach.